On 29 September 2008, the Council of the European Union (EU) adopted Council Regulation (EC) No. 1005/2008 establishing a Community system to prevent, deter and eliminate illegal, unreported and unregulated (IUU) fishing. Essentially, the EU IUU Regulation establishes a framework in which access to EU markets for fisheries products is partly conditioned by the extent to which a country, area or region of origin is demonstrably or increasingly free of IUU fishing. Aside from the amendments to US legislation in 2007, the EU IUU Regulation is the only other domestic legislative measure adopted solely to combat IUU fishing, with four main components: port State measures against third-country vessels, a catch documentation scheme, IUU vessel listing, and listing of non-cooperating States. This article analyses the EU IUU Regulation in the context of international fisheries law, and particularly international efforts to combat IUU fishing. It is concluded that the measures outlined in the EU IUU Regulation, despite several ambiguities, are generally consistent with those called for under international fisheries instruments and measures being implemented by regional fisheries management organisations. Yasuhiro Shigeta, The ECJ’s ‘Hard’ Control over Compliance with International Environmental Law: Its Procedural and Substantive Aspects, International Community Law Review, Volume 11, Number 3, September 2009, pp. 251-305. 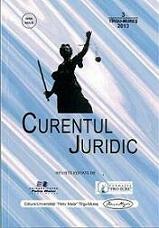 This study shows that the ECJ, while not directly applying and interpreting environmental treaties, exercises procedurally and substantively ‘hard’ control over compliance with EC legislation implementing those treaties, in the fields of nature conservation and hazardous waste management, on certain conditions and within certain limits. This study also shows that the ECJ’s acknowledgment of its exclusive jurisdiction on the marine environment as seen in the 2006 MOX Plant case has contradictory effect on its substantively ‘hard’ control: such acknowledgment, although being a plus factor where there is no Community measure, becomes a minus factor since it in practice means that there already exist Community measures. Although the above observations are also instructive to other international judiciaries’ study, structural and situational differences should be considered. Un articol interesant din Wall Street Journal. JASON L RILEY – Do Companies Have Human Rights? Intel last week challenged the European Commission’s €1 billion fine for abusing its dominant position. In addition to the usual antitrust arguments, the chipmaker also raised human rights concerns about the decision. What may sound like a Hail Mary defense actually has quite a good chance of success. The European Convention on Human Rights far more directly and expressly applies to businesses and not just individuals than the U.S. Bill of Rights. That’s why the Strasbourg-based Court of Human Rights accepted in 1996 a complaint from a British savings and loans firm that challenged its corporate tax assessment on human rights grounds. (National Provincial Building Society v. United Kingdom). 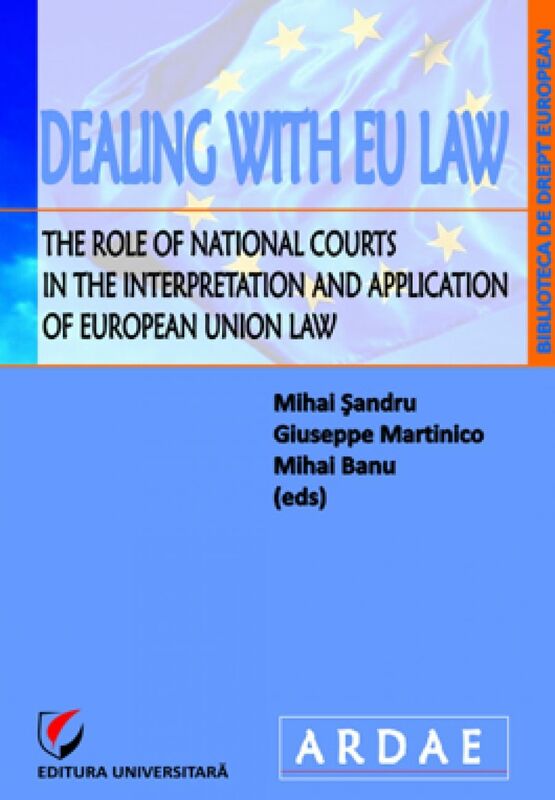 The fundamental problem for the Commission is that the core procedural rules of European Union competition regulation date back to 1962, before the development of most of the ECHR case law. A series of ECHR cases over the last decade have already raised human rights concerns about EU procedures. These include concerns over the defendant’s limited access to the Commission’s file to the fact that the Commission conducts “dawn raids” on corporate offices without full judicial warrants. The main concern, though, is that the Commission is investigator, prosecutor and judge all in one. Such an accumulation of powers flies in the face of traditional Western concepts of due process. Originally, this did not matter much as the procedures were used more to develop the law than punish companies. Brussels didn’t impose any fines until 1969 and they remained rare and low thereafter for a very long time. Only over the last decade have fines become much higher and more frequent. While the fines against Intel (€ 1 billion) and Microsoft (consecutively €497, €280 and €899 million) for abusing their respective dominant positions have grabbed the headlines, the Commission more often imposes enormous fines for price-fixing. The top ten over the last decade are Saint Gobain €896 million; EON €553 million, GDF €553 million, ThyssenKrupp €479 million, F. Hoffman La Roche €462 million, Siemens €396 million, Pilkington €370 million, Sasol €318 million, ENI €272 million and Lafarge €249 million. In cases where huge fines are imposed, and particularly in cartel cases,it becomes much more difficult for the Commission to argue that the ECHR standards are not relevant because Brussels is not involved in criminal law. Even though the Commission regulations state that its fines are “not of a criminal law nature,” they clearly are as far as the Strasbourg court is concerned. Case law at least as far back as the Stenuit case in the early 1990s (a case involving French competition law where the French watchdog had actually weaker fining powers than the Commission) is clear that where a fine is intended to punish or deter and is of general application, it is of a criminal law nature. 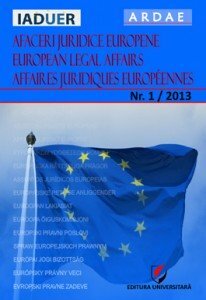 And for the Strasbourg court, criminal law cases impose a higher standard of human rights compliance on the Commission than in mere administrative law. In the 1997 Findlay case involving an assault charge before a British military tribunal, the Strasbourg court took the view that where a serious criminal charge was laid down it must be heard by an independent judge at first instance. This raises serious questions about the Brussels procedures given the Commission’s triple powers and that access to a judge is only available on appeal. The Commission might thus be well-advised to preempt the human rights challenge and insert an independent judge into its procedures. Brussels would actually benefit from such a change. The Commission has been tremendously successful in busting cartels in the last decade. Too successful—as it now has a backlog of almost 100 cartel cases and at best, due to its antiquated administrative procedures, can only hand down 8 to ten decisions a year. An independent judge could provide relief. 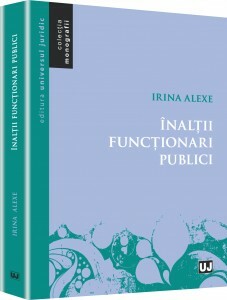 Instead of the Commission issuing a statement of objections; receiving an extensive written reply from the defendant; organizing an oral hearing (which incidentally takes place wholly in private); holding a meeting of national antitrust agencies to discuss the case and then drafting a 200-page decision that has to be translated into 19 official languages, the Commission would just charge the defendant before a Brussels-based independent competition tribunal. Establishing an independent court would do more than cut the Commission’s workload. Fighting serious antitrust offenders—such as price-fixers who have been caught red-handed—in an open court before the media would probably force most of the many firms to settle. Few such businesses would want the Commission to air their violations in front of the entire Brussels antitrust press corps. An independent tribunal would also help solve other problems. For instance, the Commission’s current fining policy has no answer to the “rogue director problem.” This is where the main board may have a strong anti-price-fixing policy but a manager of a subsidiary fixes prices to increase his own compensation and benefits. Current EU anti-trust law can’t target individual employees. With an independent judge in place it would be possible to introduce individual civil sanctions against such rogue directors. The current Commission review of its own regulation is therefore an ideal opportunity for Brussels not just to alleviate human right concerns before they further escalate but to improve the effectiveness of the entire EU antitrust regime. —Mr. Riley teaches EU antitrust law at City Law School and City University and is an associate research fellow at the Center for European Policy Studies. Interviu interesant in Le Monde. 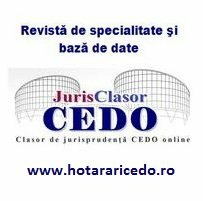 Comisia a deschis o procedură privind încălcarea legislatiei comunitare împotriva Regatului Unit după o serie de plângeri din partea utilizatorilor britanici de internet si după un intens schimb de comunicări cu autoritătile britanice cu privire la folosirea „Phorm”, o tehnologie de publicitate comportamentală, de către furnizorii de servicii internet. 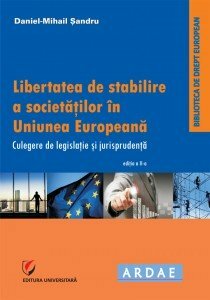 Procedura abordează mai multe probleme legate de modul în care Regatul Unit aplică normele UE privind intimitatea online si protectia datelor cu caracter personal. 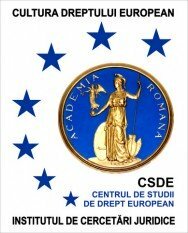 Conform acestor norme, tările UE au obligatia să asigure, printre altele, confidenzialitatea comunicatiilor, interzicând interceptarea si supravegherea acestora fără acordul utilizatorului. Problemele au iesit la iveală în cursul unei anchete a Comisiei asupra măsurilor luate de autoritătile britanice ca răspuns la plângerile utilizatorilor de internet în legătură cu Phorm.